Ah it is a lot more quiet around the house during the day now since your child went back to school at least a few weeks ago. Right? While we're on the subject of school I bet that if you've been sending him/her to school with lunch every day, boredom with the same-old lunch staples you pack may be setting in already. As the mom of 4 kids born within a year, I've written about How to make creative food for kids lunch boxes before -- simple things like cutting out fun shapes + letters made with American Cheese using cookie cutters. So, I know from personal experience that keeping children's lunch boxes exciting and appetizing all year-round can definitely be challenging. I've found a product that takes an old-fashioned concept that's perfect for today's kids from Kindergarten through 12th Grade. 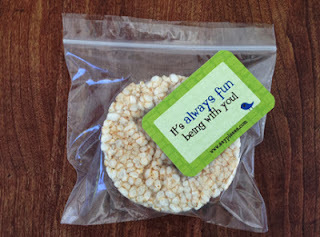 One that can help brighten your son or daughter's day and their lunch box. It doesn't involve food or drink, either, and you can buy them ready-made online. 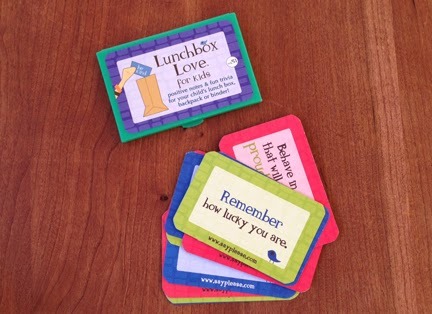 Introducing Lunchbox Love by Say Please -- a series of pre-printed positive messages, love notes and trivia cards for you to surprise your kids with something new each day. 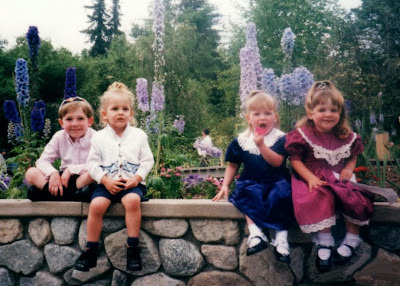 Inspired by their own children and family, this unique product concept was created by moms Judi Willard and Mary Fuller who both believe that positive words can change one's day, life and eventually the world. If I were you I wouldn't limit these clever notes to a kid's lunch box. I'd suggest keeping some on hand for those times when you just want to show them some appreciation and positive reinforcement for a job well done to kids and grownups of all ages. Perhaps you might even send one of these little cards with your child to give to their teacher at school once in awhile. Why not pop one in your hubbie's brown bag lunch each day, too, to put a smile on his face? A huge variety of Lunchbox Love Original Lunchbox Notes are available for $2.99 each or you can save by purchasing one of the many sets to buy multiple boxes of notes at one time. In addition to Lunchbox Love Sets, choose from Lunchbox Love for Kids, Lunchbox Love for Teens, Lunchbox Love for Everyone and Seasonal Lunchbox Love. There is something for everyone here for every ocassion -- each packaged in a cute little snap-close plastic box -- including Camp, Halloween, Thanksgiving, Christmas, Hanukkah and more. 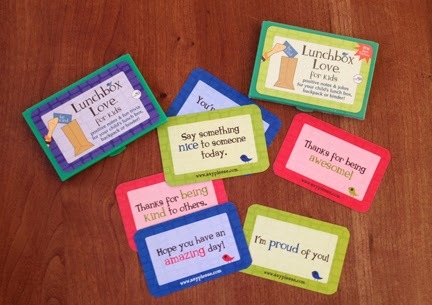 Sign up now to get the Lunchbox Love newsletter and free printables. 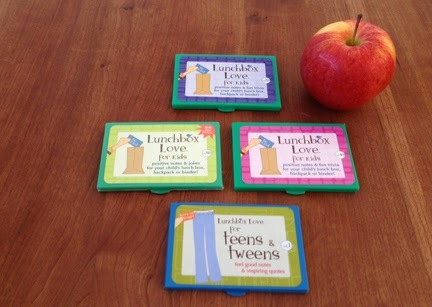 For more information and to purchase Lunchbox Love notes, visit SayPlease.com. 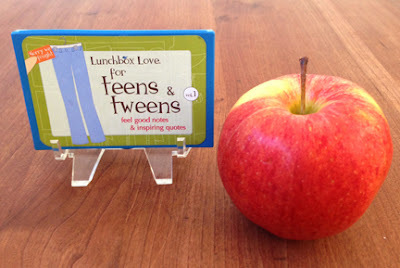 You can also stay connected with the brand and get more lunch box inspiration by following Lunchbox Love on Twitter, Facebook and Pinterest. Mark your calendar. We will be hosting a holiday-inspired Lunchbox Love Pinterest Party on Thursday, October 10th at 9 pm EST. More Details soon on MommyBlogExpert's constantly updated Weekly Master Twitter Party Calendar. FTC Disclosure: This is a compensated post. I am a member of the 2013 Lunchbox Love Mom Panel. In addition to payment I have received products to facilitate this post and Lunchbox Love is providing the prizes and shipping for the associated giveaway. However, opinions here are my own. See complete FTC Disclosure information that appears at the bottom of MommyBlogExpert's main page and at the bottom of every individual post on this blog, including this one.